Shopping for Guardians of the Galaxy Wallets? Bring everything you need for your next adventure in this wallet! 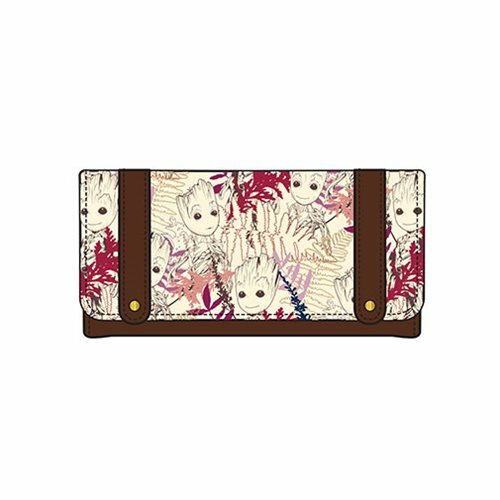 The Guardians of the Galaxy Groot Leaves Print Flap Wallet is made of canvas with a faux leather trim and printed details. It measures approximately 8-inches wide x 4-inches tall.